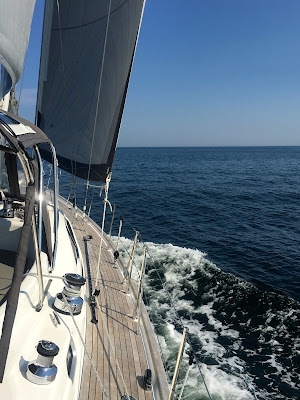 We had a really nice relaxing sail from Gloucester in gentle winds and it was such a beautiful day we decided to call in to the Iles of Shoals for lunch on the way to Portsmouth Harbour - where we had a booking at Kittery Point which was our first stop in Maine - the river is the boarder between the two states. 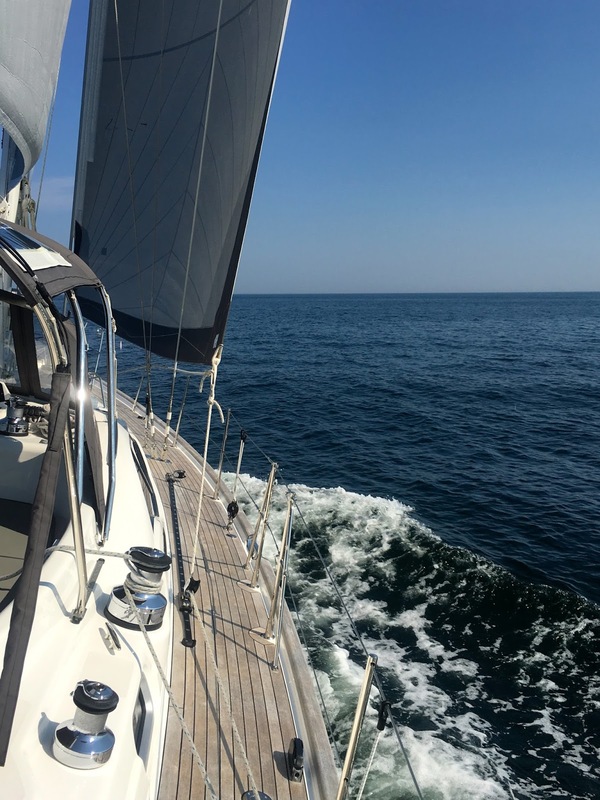 The Isles of Shoals are about 6 miles off the coast and there is nine in total with great names like Appledore and Smuttynose On this perfect day the harbour at Gosport was stunning, so we borrowed a mooring and lit the BBQ. After a lazy lunch the wind had picked up a little and we have a great beam reach into Portsmouth Harbour. It was amazing to see the difference between one side of the river and the other - lobster pot floats were just so dense on the Maine side - a sign of things to come. We tucked into our spot at Kittery and met the fantastic Jason who manages the Yacht Yard there - he couldn't have been more helpful. We had heard this was a good spot and had a plan to try and leave Askari here while some weather came through and we could explore Vermont. Jason was more than happy to help, so we hatched a plan, booked a hire car and zoomed off to Vermont a day later with our hiking gear!